Other than Poka v2 we have a couple more themes, check them below! This is the first version of the theme! Because Poka v2 is a complete rewrite of Poka v1 the first version is still maintained and new versions will follow. 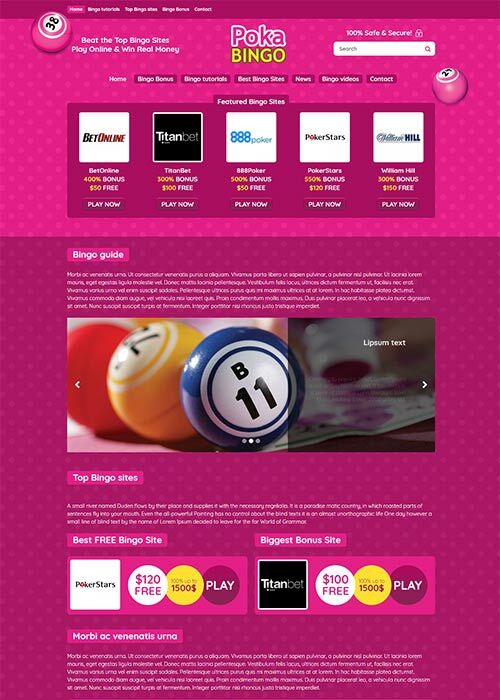 Responsive Theme specialised for Bingo Affiliates! 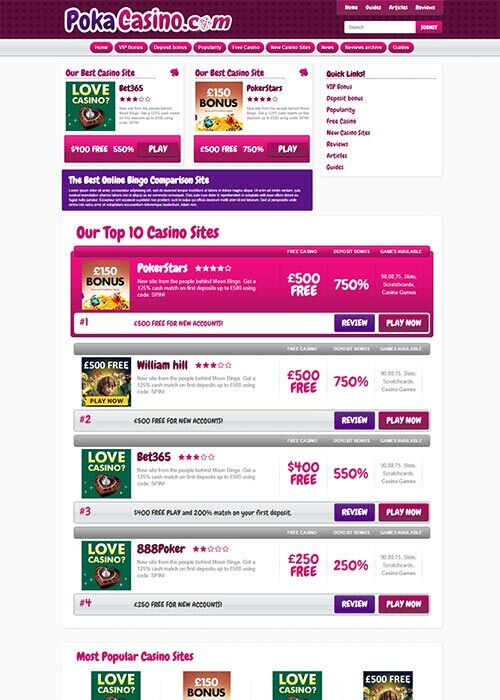 Build your niche Bingo affiliate sites. 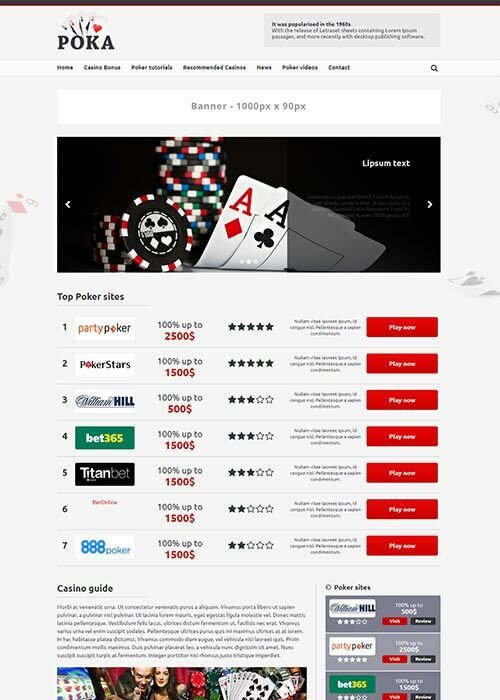 Another Responsive Theme for generic Affiliate usage and Casino Affiliates! 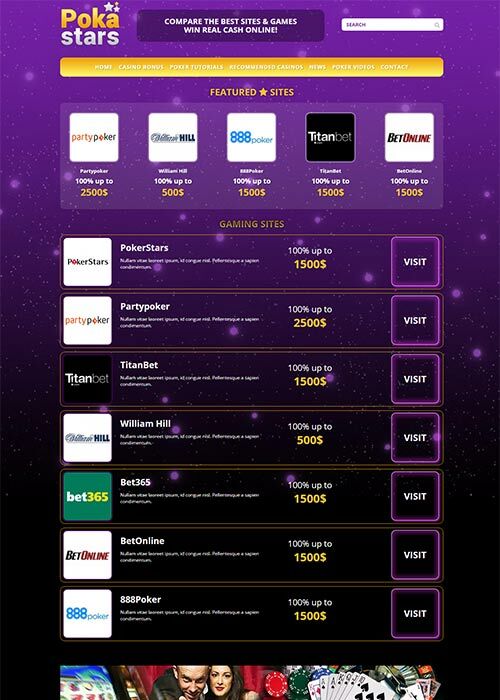 Awesome Responsive Theme for any Gambling Affiliate niche theme.